Darth Vader. Lex Luthor. Iain Duncan Smith. The greatest screen villains of all time. Now there is a new addition to their evil ranks – Negan Trainor. Armed with a plethora of awful lyrics, propelled by heinous pastiche pop melodies and with a face that would make Vanessa Feltz punch herself, Negan is the latest and greatest threat to the survivors of post-apocalyptica with her massive club, leather chaps and never-say-please attitude. 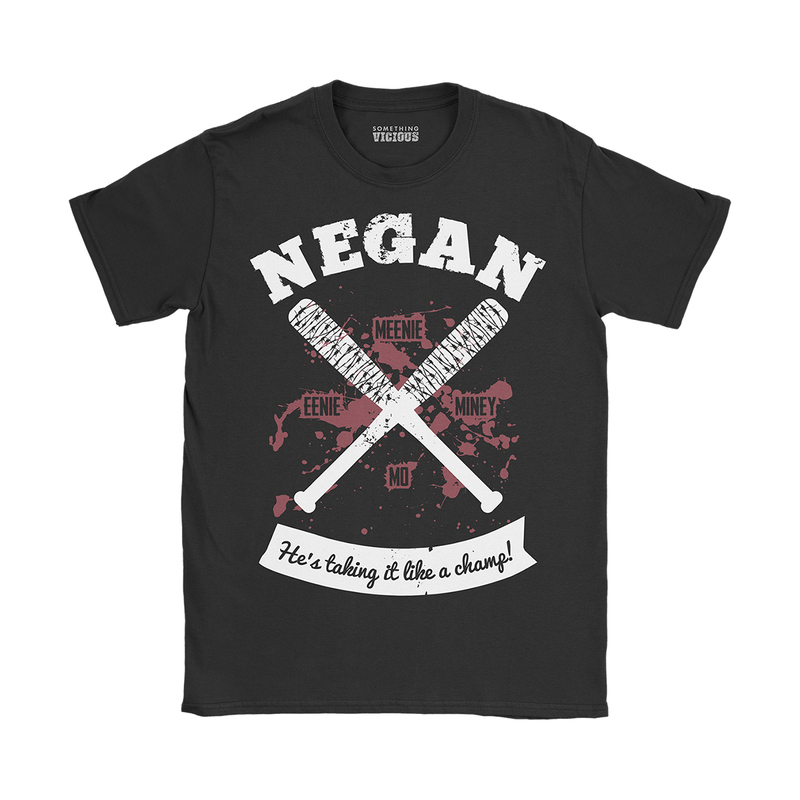 This exclusive T-shirt design, inspired by AMC’s The Walking Dead, is printed direct-to-garment using the highest quality ink onto the very best quality soft organic cotton tees. Designed to fit snugly and comfortably, these high quality garments will keep your body looking hilarious for years to come.